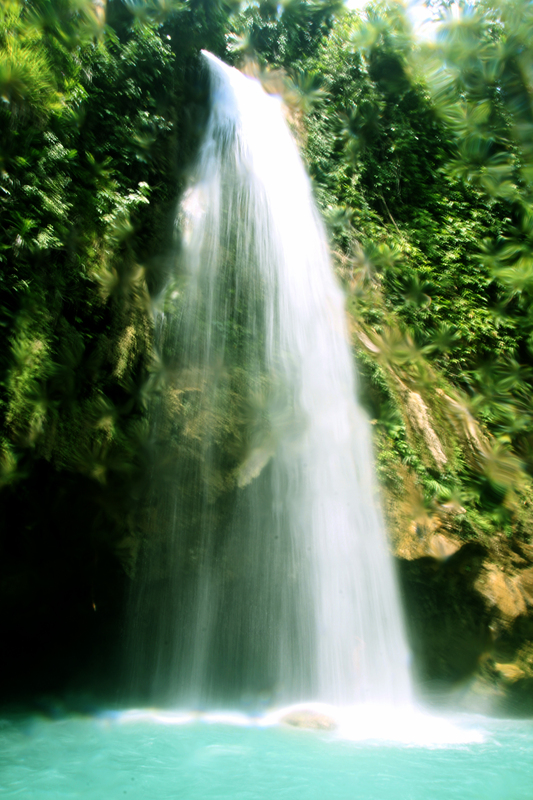 Cebu south is blessed with beautiful beaches and majestic waterfalls that are still in its pristine conditions. 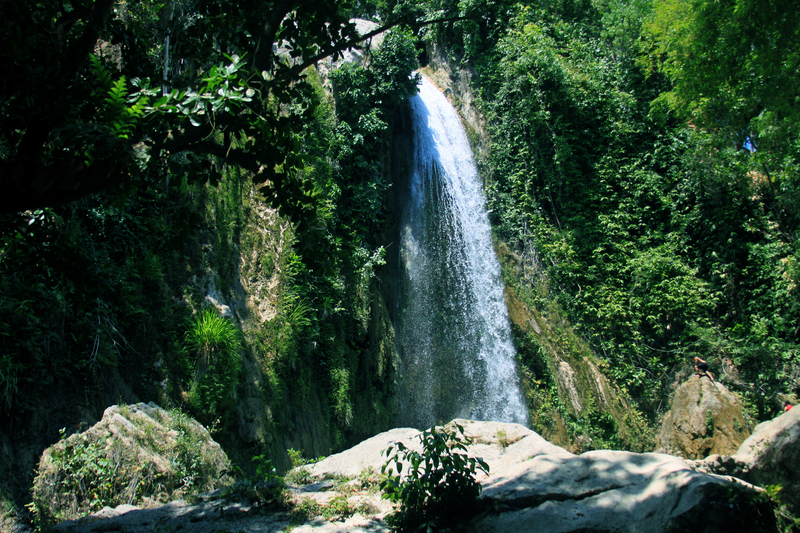 Aside from Samboan that has several waterfalls, the neighboring town boasts also its own waterfall with a slightly different characteristic and grandeur. 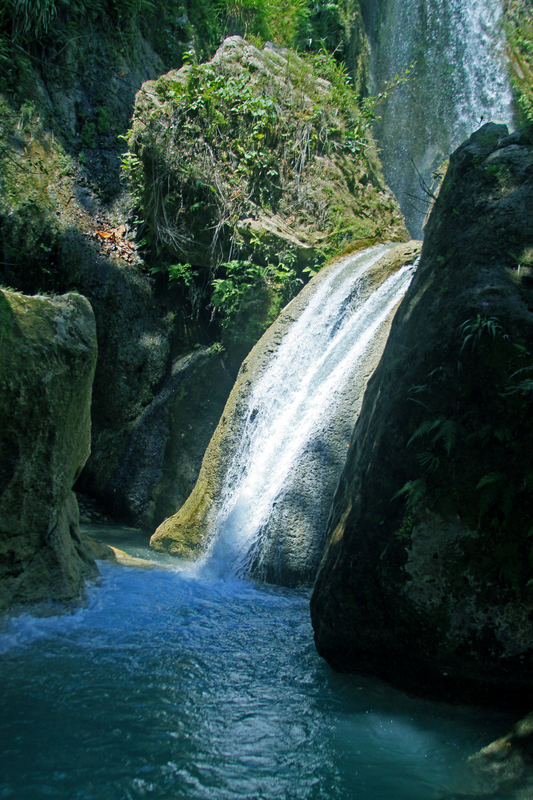 Waterfalls and beaches are popular among Cebuanos especially during summer. Most of the adventurers and trekkers or mountain climbers often have side trips on these waterfalls and beaches too to cool down from a tiring and leg-breaking treks. 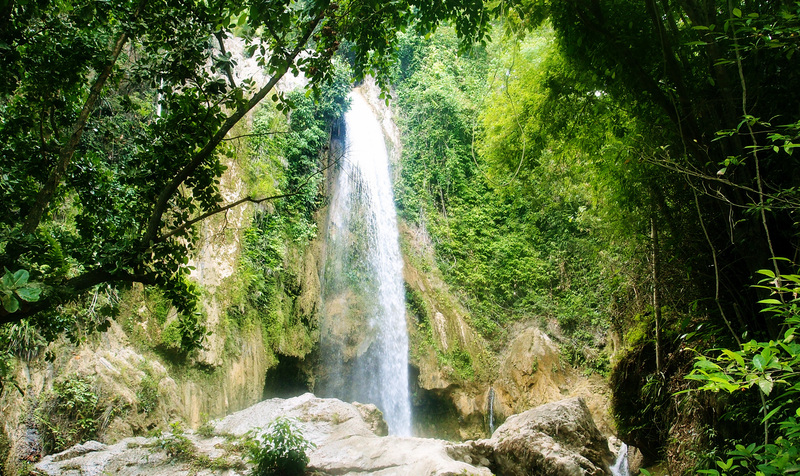 Inambakan falls is one of the waterfalls in Cebu South that has slowly gaining popularity among local and foreign tourists. Most often than not, Inambakan falls serves as the starting point to trekkers going to Mount Hambubuyog in the highlands of Ginatilan. Most trekkers like us, have a quick dip on this waterfall before commencing the strenuous and kind of death defying trek via calvary trail going to the summit of Mount Hambubuyog. During our last trek in Mount Hambubuyog, we started the trek by cooling down ourselves in the cold waters in this beautiful waterfalls and spending few moments admiring its natural beauty. It will took around 15-20 minutes from the Town proper to the jump-off going to the falls. 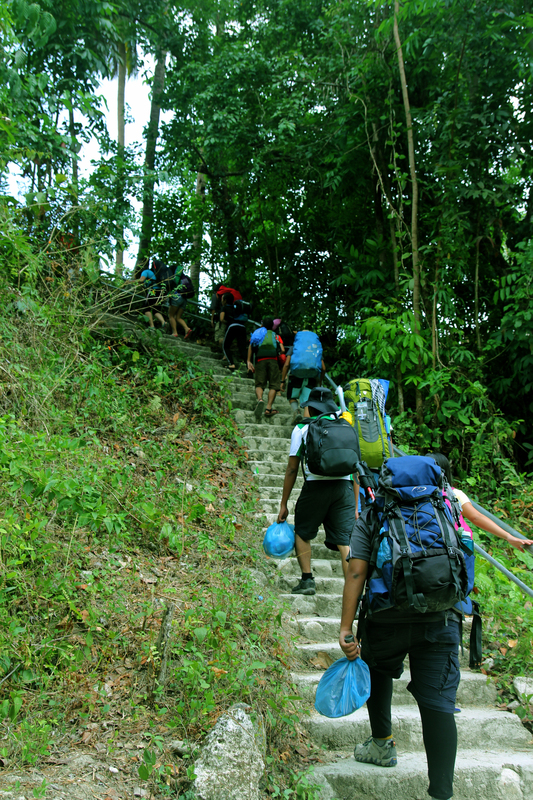 On the jump-off, be prepared for the muscle straining trek down the cemented steps that will lead to the river. Be amazed by the river as the waters are so clean and clear that you can still see the stones down below the riverbed. The trail is a bit slippery, so be extra cautious. But the vista that would welcome you is quiet mesmerizing. The water from above the source that cascades down through those boulders below is just simply an eye candy to nature lovers like us. As you go on the trek towards the falls, the buzzing sound of the waters is just awesome and it will become louder and louder every step you make. The crashing sounds of the waters become more prominent until you can see a glimpse of the majestic and the mighty Inambakan falls. Near the falls are few cottages that locals built. There is an entrance fee to be collected. Few steps and you can see the full beauty of the mighty Inambakan Falls. Along with the main waterfall are some small waterfalls right below the falls lagoon. Inambakan Falls is estimated to be around 100 feet high. Around the falls, you can feel the mist everywhere. Surrounding the falls are rocky area and bit slippery. Having a quick dip on the falls lagoon is quite refreshing before starting a trek right? We spent few moments bathing in the falls lagoon then proceeded with the trek. Also, after our trek, upon our descent, we had another dose of Inambakan falls as we can’t get enough of its splendor, cold and refreshing waters. How about you? 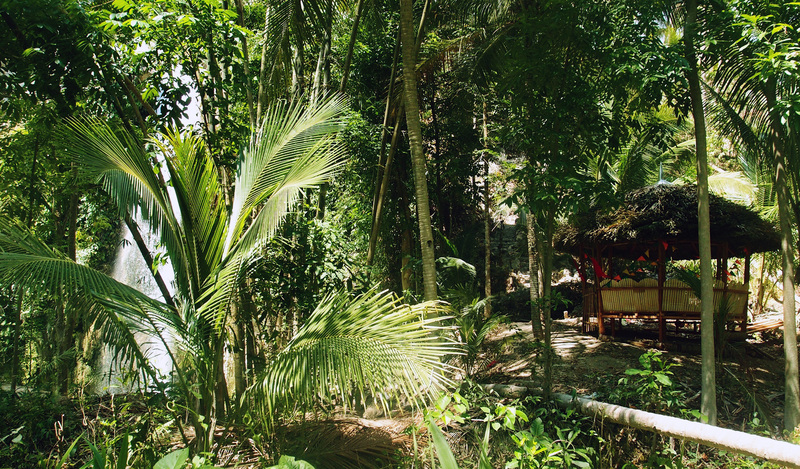 Have you been to Inambakan Falls? How was your experience? Leave your thoughts in the comments section below. Going to Ginatilan is relatively an easy one like on my previous chasing waterfalls posts. From Cebu South Bus Terminal (CSBT), take a bus bound to Samboan or with the sign Bato via Barili. Tell the bus conductor to drop you off at the Municipal Hall of Ginatilan. If you don’t know the place yet, proceed to Ginatilan’s Tourism Office to ask for assistance. You can still opt not to go to tourism office and just ask the locals and habal2x drivers instead. Mode of transportation to the jump off is through habal2x or motorcycle taxi. Most habal2x drivers know where Inambakan falls is located. Waterproof your things / valuables. Better use dry bag if you have one. Be prepared for the fiery heat of the sun if you’re going there on mid-day. The trail going down to the waterfalls is an open one and you will be exposed to the scorching sun. Pack light but don’t forget to bring water, sunscreen protection, waterproofing bags for gadgets, swimming attire, slippers or sandals. If you are not a swimmer and wants to enjoy the falls, better bring your own life vest. Don’t forget to bring extra food or snacks just in case. Always take extra precautions when going down to waterfalls as the trail can be a loose soil, slippery or mossy, rocky and might involve steep descent. If you are not sure how deep the waterfalls lagoon is, do not attempt to dive immediately. Know how deep it is first. Practice LNT. Do not leave your trashes behind. Take nothing but pictures. Leave nothing but footprints. Kill nothing but time. To maximize the places in your list if you have multiple destinations, be mindful of the time spent in each spot as they can be far from each other. Taking travel time into consideration would be of great help in your fun-filled adventure. Why Capdase Armor Suit Combo for iPhone 7 is a perfect outdoor gadget protection? Inambakan is definitely one of the best waterfalls I’ve visited. Hoping to go back because this is one of the places I didn’t get the chance to blog about. I also didn’t take pictures when I went there. Haha! Traveling without taking any pictures is fun… but in the world of blogging, we need at least one proof that what we are talking about really exists. Most of us needs verification . 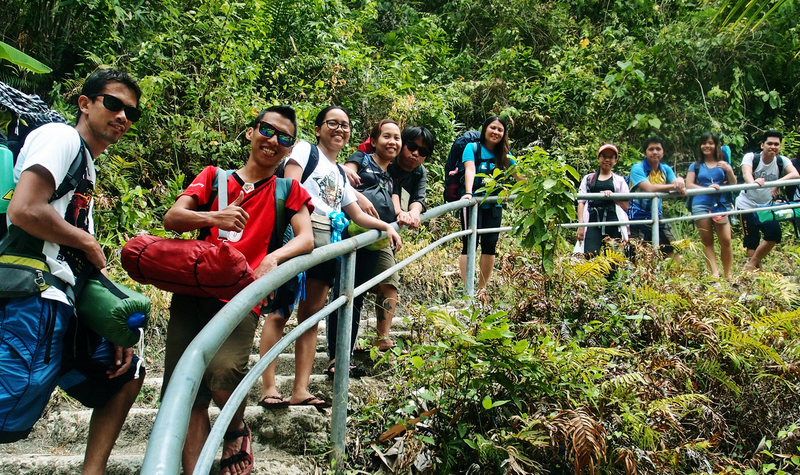 Nakaligo gyud tawon sa falls after sa shortcut-turned-to-longcut trek nato sa Mt. Hambubuyog. Nice one AJ! Inambakan Falls surely is one of the most majestic waterfalls in Cebu. I’ve been here during my chasing waterfalls adventure before and I had a blast! Actually, it has 2 more levels and it’s called Bugnawan and Kampael. I tend to forget about bringing a waterproof bag when I go to waterfalls or the beach. But I always bring a large trash bag with me though (instant waterproofing of everything akong show hahahaha). The falls looks beautiful! Dang! Daghan kaayo waterfalls ang Cebu! We are so lucky! We could have visited this waterfall last March, but we ran out of time and headed straight to Malabuyoc from Samboan. Anyway, there is always a “next time”. I’ll make sure that I’ll hit this spot soon. I have never been this far south, but I’ve heard good things about Ginatilan, especially its now-famous waterfalls. 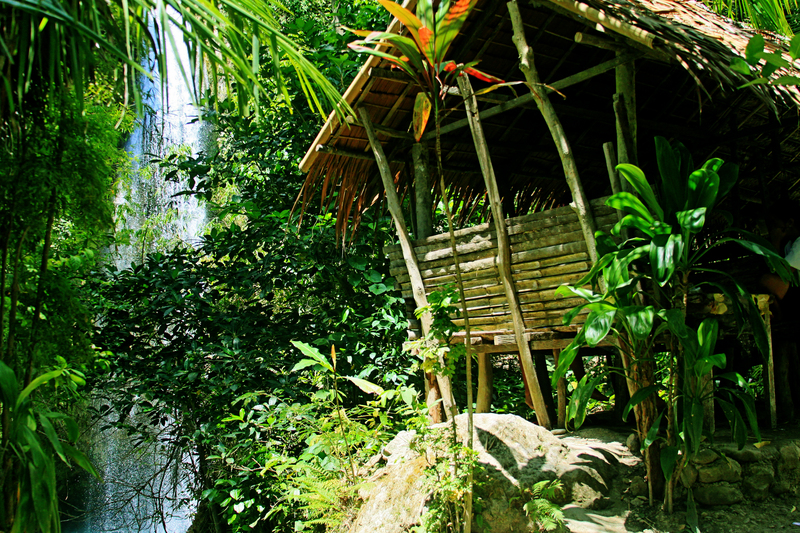 And judging from these photos, I can see now why many claimed Inambakan as one of the best falls in Cebu. Its towering height alone is enough to mesmerize trekkers and casual visitors alike. Now that’s real waterfalls! Haven’t been to Ginatilan but would love to visit someday. Looks so tempting to jump right in but again, I’m not a swimmer. Haha. 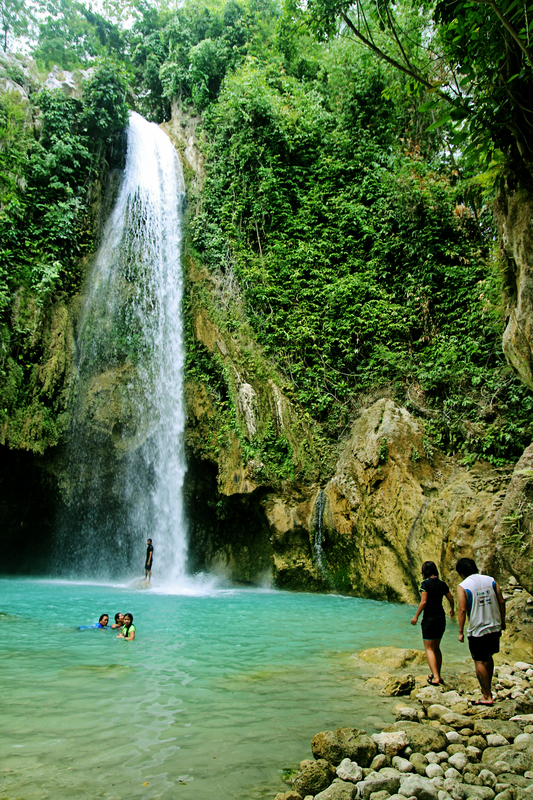 There are still so many waterfalls I’d love to visit in Cebu. I soo miss diving in the deep, clear water just like in this waterfalls. I’m getting tired of shower waters nah everyday huhuhu. Always waterproof everything! Hahaha basta basa2 jud ang adtoan. What a fun trip once again!!! Precious jud kaayo tan-awn ang mga waterfalls bisag unsaon ay! Hello. How much is the fare of habal2x to Inambakan falls? Thanks! Im planning on going there this month.